Content Delivery Network helps to boost website loading speed. If you want to rank well on search engines, getting your website speed up to par level is important. Even Google advise that sites should be loading at the speed not more than 1.4 seconds. Brands such as CloudFlare, Incapsula and MaxCDN are no longer uncommon names when it comes to branding themselves as the best CDN providers. Before we go any deeper, let’s take a quick dive on what CDN totally means to a website. What is a CDN and how it helps increase website loading speed? Content Delivery Network is a large distributed system of servers deployed in multiple data centers across the Internet. Simply by using a CDN, webmasters are able to serve static content to their readers or visitors from various data centers which are closest to the readers. And this means that websites will load blazing fast. Yes, I mean like sonic. Okay I am just aggregating but you get the point. Sites loading over 3 seconds should seriously consider using Content Delivery Network to ensure that they are not losing visitors. Still not convinced? The web should be fast – Google Inc.
One of the biggest misconception done by bloggers are paid Content Delivery Networks are equivalent with the free CDN services. The truth is, they are miles apart. The most important part to remember is that free CDN providers usually offer limited cache resources compared to premium ones. Nonetheless for those bloggers who are on tight budget, starting off with free Content Delivery Network services could be the best choice among all. CloudFlare is one of the most popular CDN provider for many bloggers. It has also partnered up with hundreds of hosting providers to ensure that web hosting clients are able to sign up for CloudFlare and enable it with just a few clicks of the button. It is one of the most recommended CDN by many hosting companies as it is easy to integrate and it could easily speed up a blog within minutes. As a matter of fact, CloudFlare guarantees that they will supercharge your site in just 5 minutes. All you need to do is to set it up (even by default is fine) and that’s it. No special settings needed … ever! For bloggers who are looking for faster website loading speed but at the same time on tight on budget, they can easily use CloudFlare Page Rules to ensure that CloudFlare is caching more static resources on its servers. If you have no idea what it is or how it works, you can refer to this article for more information, How to setup CloudFlare Page Rules. While CloudFlare is a great CDN choice for many bloggers, it could also be a huge problem for some as CloudFlare has the tendency to block visitors of several IP’s and country specific. Even though the odds of this to happen is relatively low, it is definitely something to consider before deciding to use CloudFlare. Incapsula uses a global content delivery network to provide website security, DDoS protection, load balancing and failover services to clients. For most bloggers, Incapsula is a great alternative for CloudFlare when bloggers are trying to install CloudFlare for their sites. So, what is Incapsula offering compared to the rest of the CDN services? When it comes to security, Incapsula could probably be the #1 on the chart. Among all the free CDN providers available, Incapsula is one of those who offer top notch security features and lots of addon features other CDN providers might not be offering … for free. For blogs who are always hit by spam bots, Incapsula could be a better choice for CDN service as it comes with Bots Protection feature which is said to counter attack automated spammers. Can’t decide which free CDN provider to use? This article could help, CloudFlare vs Incapsula. When it comes to premium Content Delivery Network at a good price, nothing beats MaxCDN. It is trusted by many top sites such as Yoast, ZippyKid, The Next Web and WPBeginner. So, what makes MaxCDN so popular? I use MaxCDN because I am always a speed junkie. I want my site to load extremely fast and I always aim for the 1 sec mark. Without MaxCDN, I was loading around 1.8 seconds on average and with MaxCDN, I was rocking at below 1 sec (608 ms to be exact). 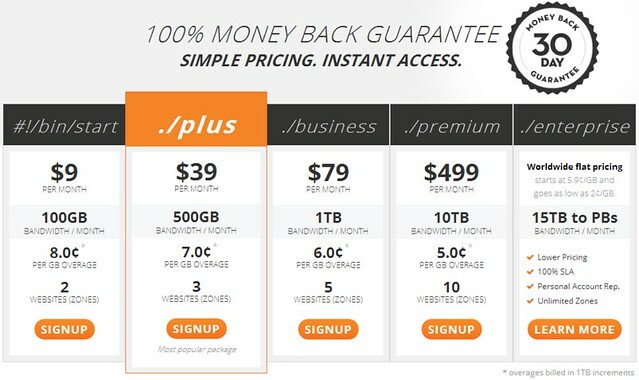 MaxCDN offers very competitive rate which starts at $9 per month (for 2 websites) and an allocation of 100 GB per month. I am no big fan of monthly payment and if that is the case, take up the annual plan and get 2 months free. Not only that, use coupon code Max20 and get another 20% discount off your total bill. Now tell me, how cool is that? Give MaxCDN a 30-days trial run for free and upon sign up, get 20% off instantly with coupon code Max20. Click here! Is your website loading over 1.5 seconds or do you want a faster website? We all know the importance of having a fast loading website. Analytic sites such as Moz and QuickSprout has always recommend a quicker loading site if you want to rank well on search engine. 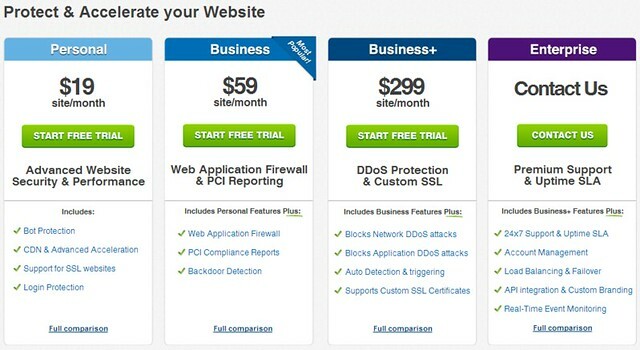 If you are not using any CDN service yet, I would recommend you to grab either one of the above immediately. Not only you will have a better chance to rank well, you are going to make your visitors happy too! Are you using any of the Content Delivery Network providers above? Tell me what you think and share your CDN experience with me using the comment form below. Great post about CDN pal. I am using MaxCDN on my blog and I am loving the speed. I must say that since using it, my earnings has gone up and I would strongly recommend the usage of CDN if one is serious about making money from their blog. Whoa…earning got up huh? Cool mate! I guess the faster your blog loads, the more love you get from both Google and visitors right? Appreciate the kind share you made and take care. Talk to you soon! Thanks so much for this review! My blog is too slow and I’m having some difficulty lately because of my hosting from Hostgator. I have been building a membership site and that seems to be the problem …so I’m told. I am looking into the above to speed up my site once the kinks are worked out. Just book marked this so I can re-visit it when everything else is resolved. Now, my advise is getting CloudFlare + CloudFlare custom page rules first for starters. If the speed doesn’t improve, then go for a paid CDN like MaxCDN. They have pros and cons which you shouldn’t expect much from free CDN providers. However, both CloudFlare and Incapsula are two of the best I have seen and great support too. Good luck to you and of course, hit me up if you need some help! Great write up on these different services. I started using a CDN for my blog about three months ago because my blog was loading very slowly. I chose to go with MaxCDN and I am really happy with their service. You’ve got a great deal for someone who signs up via your link. I would definitely be signing up if I didn’t already use them. Thanks for sharing these other services with us, I hope you have a great day. Oh wow, thank you for commenting. How are you? MaxCDN is great and their service is pretty good (honestly speaking). Insane speed and top notch price as well LOL! Have a great week ahead and talk to you soon. I know that’s something I need to consider in the near future. I know that my site is not the fastest, but yet again it seems average compared to many others out there. Not faster, but not slower either. I know we live in a fast world and we need to catch up. Thanks for this info. Very detailed and very good. You are most welcome and thank you for commenting! As long as you are doing below 1.4 seconds, you should be just fine. However, at times people like me (speed junkie), just couldn’t have enough. So that’s where premium CDN comes into play. I tried cloudfare but i had bad experiences with it. My site was down due to this one. So immediately removed it from my blog. Now i dont use any CDN. As of now the site works pretty fast. Nonetheless, thanks for your feedback mate. Drop me a line if you need some help. Also thinking of trying out MaxCDN at least once. CloudFlare on the other hand is good for free CDN service. That’s something to seriously consider. Have a great week ahead mate. I have seen your “around” at Adrienne’s site and on Twitter. Wow, this article is informative. This is one thing I have struggled with. I installed CloudFlare at one time and it didn’t play well with WordPress and Genesis at the time. I don’t know??? But in a blink of an eye it changed my website address from no www to www on BlueHost. I didn’t want that so I called in, talked to a couple Blue Host reps, and reversed the entire process. Now, I got to be very honest. CloudFlare could be a pain in the a$$ and in fact, all CDN’s have the tendency for such. As for your case of non www to www, it should be the redirection turned on. Haha! Thanks for dropping by and see you around! Have a great week ahead Barb. I am learning much more about CDN and speed and all that good stuff. Helpful post man! People want their content yesterday. If you serve it up fast you will become popular, gain more readers and boost your sales. Living in the Microwave Culture it is the only way to go. Living in the microwave culture? Haha! You can repeat that anytime mate. It was last week where the site was loading below 1 sec. One of my friend told me that the site was slow and I was like “are you kidding mate?” Haha! Thanks for commenting mate and see you around. Hope you enjoyed this post. No one wants a slow site! I personally hate anything over a second. I’m currently experimenting with Cloudflare and W3 Total cache. I think its the best time to introduce MAX CDN now. Thanks for this thorough analysis…it was quite helpful! As much as I hate sites loading slowly, I do take a simple step back and give it maybe 3 seconds for it to load. So, anything between that is pretty good and acceptable for me. Good luck and of course, drop me a line if you need some help. I have considered a content delivery network for several clients sites, particularly those with fairly robust shopping carts. Have you tried CDN solutions in that application, or only with blogs? I don’t run a platform on that but I certainly has recommended those services for my clients. Well, when it comes to business, I try not to recommend free services as you get sub-par service especially when you have problems. To be very honest, I don’t see any quick solution for speeding up other ecommerce platforms without CDN (unless you have good dev or tech team working with you). That’s what I think and hope this helps! Very detailed post about CDN providers, I’m using CloudFlare since some months and never had any problems. . plus point is, it also provides some sort of security! Thanks for commenting. Glad to hear that CloudFlare work well for you! For me, CloudFlare can be real troublesome if you messed up with those settings. Haha! You are most welcome and enjoy your week mate. I am using CDN from a week. Confused with this. I hope this post will really help me out. Going to change my CND program to Pro. Working on Basic now. Heard a lot about Cloud fare. Seems like its the Best. Thanks for this useful post on CDN. Oh, you deciding to move to CloudFlare Pro plan? That is pretty impressive and quite affordable if you ask me. Performance + security compared to MaxCDN who offers performance only. Pros and cons I would say. Thanks for commenting and take care. Great write on these different services. I began having a CDN inside my blog three a few days ago because my blog was loading very progressively. I made the decision to choose MaxCDN and i’m really pleased with their service. There is a good deal for a person who subscribes via your link. I’d be easily registering basically didn’t already depend inside it. Appreciate speaking about other services around, You’ll possess a great day. MaxCDN is a good choice and website loading speed is important for Google. Big G doesn’t expect crazy fast speed but at least, something acceptable. Thank you Reginald! i now use maxcdn to improve my website speed. since i just spend 6$ per month. i see my traffic increase 20% for the first month. Glad you find this useful mate! MaxCDN is good and the price is absolutely insane to say no to. Great article Reginald and clearly one of interest to me. I did however run this page through GT Metrix just now and it came with a page load speed of 5.2s. Any ideas as why there is such a wide difference in results? Which measure are you currently using? This is because you use this page instead of my homepage. For test, I usually use homepage for benchmark as each article would have tons of images, special ‘arrangements’ etc. Why homepage? Because I doesn’t change my site coding for homepage. However on pages and posts, I do add scripts now and then which would be extremely unfair to judge. Plus, I can’t ensure that all images shared on posts are equivalent in size. Actually, there are extra scripts running back end this few days as I’m in collaboration with a company for some ‘testing’. Thanks for the guide. I used cloudflare for my site, ads were unable to load. Later i switched to incapsule. In my opinion its the best choice. Hi there, any thoughts on cachefly? Or on pulling the content from our hostway server and then caching to a cdn? My use is a few hundred one hour full length films in hd for users to pay to watch…any advise for me?